Recognition of Rights or Termination of Rights Framework? The Trudeau government is committed to table legislation on a Recognition of Rights Framework for Indigenous rights this fall. While not yet finalized, the initial drafts are not encouraging. Beware of federal politicians bearing beads and trinkets. This framework is not emancipatory and despite effusive press releases from the Prime Minister, has nothing to do with reconciliation. The feds are proposing a framework that functions like a cage, containing Indigenous nations and governments within a legal apparatus that assumes all sovereignty and jurisdiction belong to the federal and provincial governments. The cage provides Indigenous nations with little more than space to administer federally approved governance within legislated boundaries. No land commitments accompany the framework, and it’s principals fall far below the floor set by Canadian constitutional law, Indigenous laws, and the United Nations Declaration on the Rights of Indigenous Peoples (UNDRIP). The third order of government model was suggested by the Penner Report in 1983 and by the Royal Commission on Aboriginal Peoples. Why, then, this anemic delegated model proposal? The legislation is intended to be available to Indians, Inuit and Metis governments, and according to the Justice Minister in her speech to the Business Council of British Columbia in April 2018, is intended to provide “certainty”. “Certainty” means clarity and predictability for non-Indigenous corporate investment interests. And while the government’s language suggests self-determination is a desirable objective to be secured through Recognition of Rights, there is nothing proposed that recognizes or facilitates self-determination, a fundamental right recognized at international law. The legislated “self” governance approach has been floated through a variety of initiatives by successive Liberal and Conservative governments since 1982. All proposed a delegated subordinate municipal-style framework to replace the Indian Act. All have been largely rejected by First Nations (and have not previously been offered to Inuit and Metis). Yet the “new relationship” reads like an updated version of the Indian Act; it amounts to self-administration and leaves no doubt that the federal and provincial governments do not plan on sharing jurisdictional power or tax and resource wealth. The feds are holding consultations, but are they listening? The “What We Heard” file is largely cherry-picked and focused on specific issues – funding, housing, health, jobs, education, and so on. These are not trivial matters, but all relate to larger systemic and structural issues that are never addressed. One overarching theme missing, despite being raised as a primary concern by critics and supporters of the framework alike, is the all-important but constantly evaded topic of land. It is the heart of Indigenous laws, governance, culture and relationships, to which we hold both rights and responsibilities. It is the foundation of the colonial impulse and the source of wealth of Project Canada. It’s the key to our pasts and our futures. And land is precisely what the feds and provinces want, but never want to talk about. That discussion would include jurisdiction, relationships between provincial, federal and Indigenous governments, treaties, tax room, and revenue sharing. Continuous evasion of this subject has created the current impasse, with questions of title and jurisdiction at the centre of every major conflict and contradiction in Indigenous-Canadian relations past, present, and evidently, future. To be clear: the Supreme Court of Canada decided in 2014 in Tsilhqot’in that there are cases where Aboriginal title has never been extinguished, and thus jurisdiction and title to the land remain with the relevant Indigenous nation. The UNDRIP, the gold standard for Indigenous rights at international law, was adopted unenthusiastically and late by Canada. It unequivocally states that Indigenous peoples retain rights to unceded land and resources. Further, it requires states to provide redress for actions which have had the aim or effect of dispossessing Indigenous peoples of lands, territories and resources. 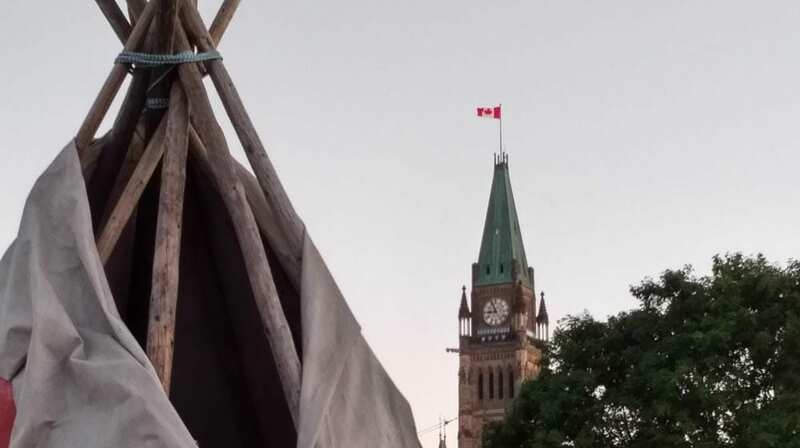 The UNDRIP recognizes the Indigenous right of “free, prior and informed consent” (FPIC) over Indigenous lands – which, like any other form of consent, includes the right to say no. Yet, in her April speech, the Justice Minister argued: “The proposed rights recognition framework should not prescribe or define a new way of consulting and accommodating, or of obtaining consent, but rather should focus on establishing legislative space and standards …”. In this way, the government expects to find the processes to ensure “certainty”. And that arguably is what the Recognition of Rights Framework is really all about. Indigenous peoples are not going to let our inherent rights and jurisdiction be legislated into oblivion. The Canadian state’s own laws, commissions of inquiry, and the international laws it has endorsed impose state obligations to redress land theft. Efforts to address Indigenous-state relations without adhering to the limits that Indigenous rights place upon federal and provincial actions, and without engaging in the restructuring required for a return of land and jurisdiction, are doomed to fail, no matter how many people are “consulted” in the process. Gina Starblanket is an assistant professor of Political Science at the University of Calgary.